Please contact me regarding the 2018 Felling FT-12IT - Stock# 003654 for sale at TruckerToTrucker.com. Take a look at this 2018 Felling FT-12IT. It is Stock# 003654 at TruckerToTrucker.com. 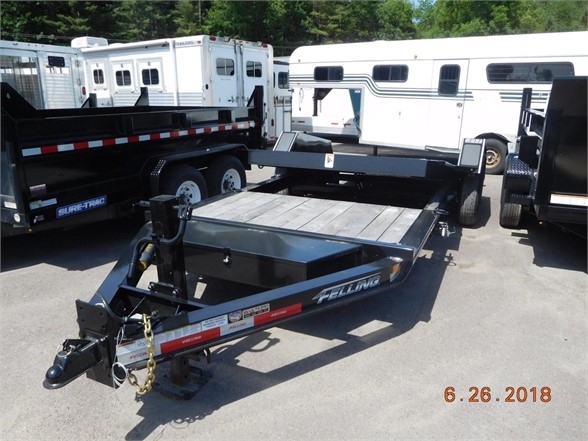 STATIONARY DECK WHITE OAK DECKING D-RINGS ELECTRIC BRAKES LED LIGHTS COLOR - BLACK DOCUMENT HOLDER TOOL BOX WITH LOCKABLE COVER CALL FOR MORE INFORMATION AND PRICING TODAY!